In 2008, writer D.M. 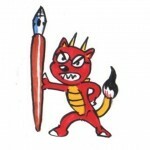 Charles began working on Ninja Express shortly after graduating college. The first script went through several artists in the first few years, however, none of the artists followed through on the project. It wasn’t until Charles encountered the creator collective, Pronto Comics, at a 2010 New York City Comic Con panel. While working with them he met editors Josh Cabrera and David Rodinelli as well as Drake Tenta, who would become the lead illustrator for Ninja Express Volume 1. Shortly after, Osjua A. Newton came aboard as letter and colorist after finishing work on the comic book, Ruin, also written by D.M. Charles. Born in 1985 in New York, Derrick Michael Charles is an African-American comic book writer living in the Coop City section of the Bronx. 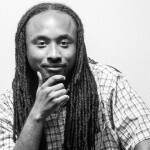 Graduating from Lehman College in 2008 with a degree in Business Administration and a minor in Black Studies, Derrick never officially pursued writing academically. Instead, he became interested in the field of writing in the years following his graduation when he rediscovered his love reading through fantasy novels and comic books. He began working on his first story, Ninja Express, in 2009 as a solo work. In 2010, Derrick began collaborating with Pronto Comics, producing the story Cold Night and forming his partnership with Ninja Express artist Drake Tenta. Derrick is currently working on moving into children’s books and short stories. Drake Tinta is a comic book artist and writer based in the New York Metro area. Since childhood, Drake has had an appreciation for Video Games, Western and Japanese animation and movies, and later comics and manga, which has helped influence his work and career path as an illustrator. Drake references Osamu Tezuka, Shotaro Ishinomori,Takehiko Inoue and Shigeru Miyamoto as some of his major influences to his creative process. Ninja Express is Drake Tinta’s first foray into the comic book industry. Born in 1986 in Bronx, NY, Osjua Azarra Newton is an African-American photojournalist and graphic designer living in the University Heights section of the Bronx. Graduating from Lehman College in 2010 with a degree in political science and a minor in multilingual journalism, Newton never officially pursued the visual arts academically. Instead, his first encounters with both graphic design and photography began around 2003 during his later years in high school; first, utilizing these skills to accompany his journalistic assignments; and recently, towards his personal artwork. In photography, Newton focuses largely on spot news, events, street, and portraits while his graphic design portfolio consists of newspaper layouts, poster art, and digital paintings. 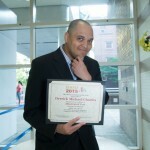 His assignment work is featured in The Bronx Free Press, The Bronx Times Reporter, The Riverdale Press, and other publications. 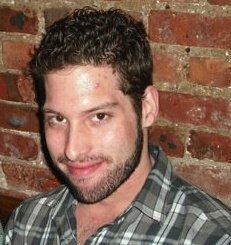 David joined Pronto Comics in November of 2010. He has accumulated an array of titles, such as Head of Distribution, Treasurer, Event Coordinator, and is currently the Managing Editor. With distribution, he has coordinated to have Pronto’s books in stores that stretch from New York City, New Jersey, and Pennsylvania, by providing press kits and releases for Pronto’s catalogue. The events he has coordinated are organizing store signings for Pronto creators, coordinating public speaking events at various Barnes and Noble locations, and scheduling interviews with different podcasts and internet shows for Pronto such as the Comic Book Club. He is also the creator of Phrases to Pages, Pronto Comics annual networking and contest event for aspiring writers and artists, where creative teams collaborate to make one comic book page based off of a phrase. As the managing editor, he pairs up creative teams, reviews and edits scripts, and keeps quality control over the different teams for all of Pronto’s upcoming titles. In addition, David is also a writer for the group. His published works can be seen in BLACKOUT, MANGA NATION, and STRANGE STORIES. He also self-publishes his other one-shots and an ongoing title NODE, under his own logo Horizon Line Comics (http://www.horizonlinecomics.com).